2005. Adobe Illustrator. 11" x 17"
This was a graduate school project; we had to choose a product, create an original character (mascot) and then design an advertisement in poster form. 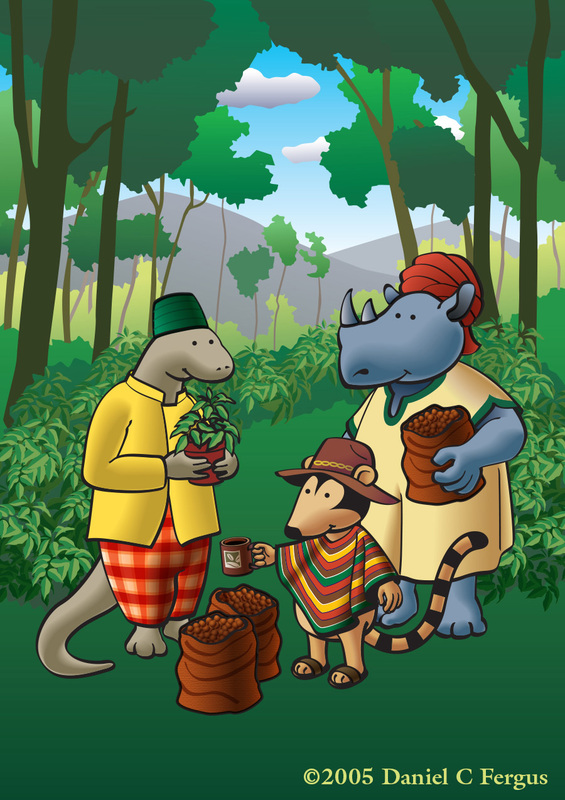 I chose fair trade coffee, and my (three) characters were animals native to the world‘s three main coffee-producing regions: a komodo dragon from Southeast Asia, a coatimundi from Latin America, and a black rhino from East Africa. The clothing and colors were inspired by regional costumes and styles.